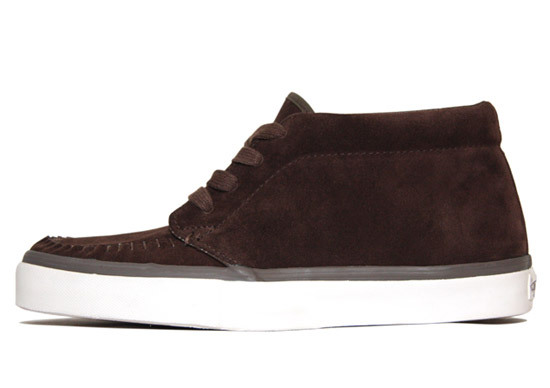 UNDFTD drops another pair of refined looking sneakers with the ‘Moccasin Chukka’, made withVans. Available in black and brown colorways, both feature moccasin-stitched toeboxes and thin leather linings over a suede base. Both versions are now available at all UNDFTD retail locations and in the web store.